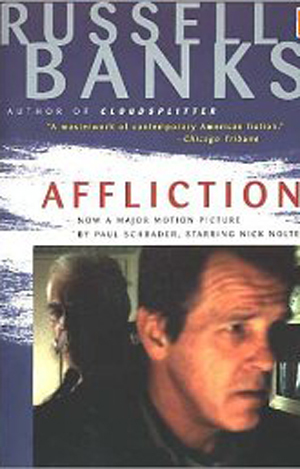 When I participated in the last session of Professor Waxler’s fall-cycle ’11 Changing Lives Through Literature program, held at the University of Massachusetts, Dartmouth campus, the participants discussed Russell Banks’ Affliction before their graduation from the program. Though I had observed Waxler’s program before, I was still surprised by the participants’ emphatic reactions to the text. One participant pointed to a moment in which a child suffers from his parent’s mistakes, explaining that the scene, “burns a hole in me.” Another expressed his frustration with one of the characters, for, “he had all the time in the world to help his brother, but he didn’t.” I was also still surprised to find my own reactions to the text both enforced and called into question by the discussion, as various participants introduced perspectives and questions that hadn’t occurred to me in my reading of the novel. Though I found myself identifying with Rolfe as the narratorial voice and the more distant character from the action taking place, many participants strongly identified with Wade and disliked Rolfe. “Wade’s just trying to be a good parent. I can feel for what that’s like,” one participant explained. Another elaborated, “Wade is a better person than Rolfe. At least he stayed to battle his problems, at least he tried to make things better.” Others admired Wade, in a sense, as “from the beginning he never wants to be part of someone else’s story,” while still others “feel bad for him” because “he wants so bad to be a good dad but doesn’t know how because of how he’s raised.” My initial view of Rolfe as a character was intensely complicated by our discussion. Did he break free from, or abandon his family? Was his leaving courageous, or cowardly? Now I’m not so sure. What is the root of Wade’s dilemma? As Waxler observed, our discussion mimicked Wade’s obsession: the more we think about it, the more difficult it is to grasp the truth. Since the book is written from Rolfe’s hindsight perspective, it was tempting for me to view Wade’s downfall as unavoidable. Waxler’s prompts and the participants’ observations both took this issue up and caused me to question it. Waxler notes that this scene illustrates a disconcerting reformulation, even distortion, of the parental blessing. Is Banks suggesting that at some level a child still wants the acknowledgment and blessing of the parent, even if at the same time he hates everything that the parent represents? The question is a troubling one. While I found myself reflecting on my role as a daughter, many participants connected their roles as son or daughter with their roles as a parent. Judge Kane argued against this suggestion of inevitability vis–à–vis generational inheritance. “A blood tie can be broken,” the judge asserted. “You can find your own place, be your own person—it wasn’t inevitable.” As we all struggled to pinpoint what caused Wade’s life to fall apart and whether or not his ultimate downfall could have been avoided, many participants called attention to the way language works in the novel to achieve this sense of spiraling out of control in tandem with Wade. At the heart of this jumping is Rolfe’s control as narrator. Throughout the discussion, each one of us either reflected on or voiced aloud the recurrent question—how do we really know any of this? Slightly defensive and earnest in his explanation as to his seeming omniscience, Rolfe responds to the hypothetical question of the reader by asserting, “I do not, in the conventional sense, know many of these things. I am not making them up, however. I am imagining them.” Rolfe establishes a new dimension of story telling, yet his narration implicitly wrests control away from Wade. “Wade is pushing through and trying to make his own story, but he doesn’t have the power, and no one will let him,” one participant contended. I stopped writing as this observation was made. I was struck by how it really gets to the heart of the struggle faced by each participant who is working their way through the court system and trying to reassert and reformulate their place outside of their docket number designation or charges faced. As we all explored our relationship as readers to the story, it became clear that Rolfe used the narration of another’s story as a means to better understand his own. Narration’s ability to channel self-awareness extends past the realm of writing, in Rolfe’s case, and applies to readers, too. Just as Rolfe narrates Wade’s story in order to comprehend his own, so too did everyone present at the Changing Lives discussion appropriate the stories in the novel as a means to approach broader issues of society and all of our roles within it. Whether the participants identified with aspects the story—the difficulties of the court system, of being a parent, of starting over—or recognized their distance from it, the power of narrative was universal. As one participant observed, “You can be rich, have a good life, whatever, and one thing could make it spiral out of control.” Both the novel and the discussion produced a humanizing, universalizing effect. Why is the Only Option a Lack of Options? I have always been aware that there aren’t many options for people suffering from mental health disorders and addiction problems. Insurance will cover a few days in a hospital or detox and send you home with a slew of prescriptions, appointments, and recommendations, still reeling from the experience of being in-patient in a hospital. If a patient is able to maintain a medication and appointment schedule, they may be able to successfully navigate the world of recovery. 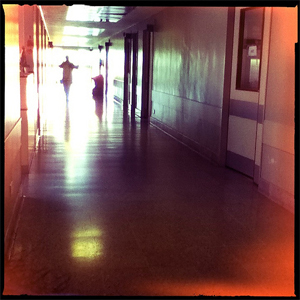 However, more often than not, these inpatient hospitalizations merely physically stabilize a patient without taking into account the emotional problems which are the underlying cause of the hospitalization. Her insurance would only cover five to ten days of an inpatient hospitalization that should have lasted thirty to ninety days. The cost of treatment, per day, can be thousands of dollars. Who can afford that? But the larger question is; why are insurance companies willing to pay for several short hospitalizations a year, but not for one long-term treatment session that may lead to a much longer period of sobriety? It’s impossible to know the answer to this question, but it’s worth thinking about in an age when health insurance coverage is such a big political issue and addiction is at the forefront of our minds, thanks to shows like A&E’s “Intervention” and “Celebrity Rehab with Dr. Drew” on VH1. Is it really cost effective to treat the same person several times as opposed to paying for one extended stay in a treatment center? Is it morally acceptable to keep bouncing a patient between home and detox without a clear set of tools to use as they eke out their recovery? Detox centers can be great places that offer a good deal of support for their patients, but when those patients are only there for three to five days, how much recovery can you really offer them? AA and NA are options for a lot of people, but these programs can be overwhelming, especially for a new addict, or for someone who repeatedly relapses. It’s difficult for a person who one week appeared to be doing very well to go back to his or her familiar meeting and tell the group of people they’ve learned to trust that they’ve been lying; they fell off the wagon. Of course, all addicts know that addictions makes liars of everyone, and they will welcome the newly-sober-again member back with open arms, but it’s still emotionally difficult for someone just out of detox to face these emotions head on. This can lead to drinking or drugging. It’s a vicious cycle. Along with the emotional problems associated with frequent relapse and ineffective treatment, patients may begin to experience negative effects on their health as they become more and more entrenched in the cycle of addiction. Problems such as alcoholic or drug induced dementia, vitamin deficiency, organ failure, malnutrition, and dehydration must all be treated by physicians, which costs the insurance companies yet again. Overall, this is a very frustrating experience for patients and their families. Watching someone you love suffer repeatedly, and the cycle of repeated relapse and the effects it has on the family can cause enough stress to tear a family apart. I don’t know if there are easy solutions to these problems, but I know that the options available are NOT options. They pigeon-hole people into an ever-increasingly frustrating cycle which doesn’t seem to end – the proverbial snake eating its tail. This is part of the reason why programs like CLTL are so important. Although CLTL is geared towards prisoners and not specifically addicts, a program that empowers people in a way that detox (and prison, of course) don’t is incredibly beneficial to society as a whole. Instead of breaking people down, a program like CLTL builds people up, giving them self esteem through showing them they have abilities they may not have recognized in themselves. Perhaps, using CLTL as a model, a program for addicts with relapse problems can be created, in conjunction with a hospital, where participants are treated on an outpatient basis (insurance companies may be more likely to cover this kind of program) and not only given tools to deal with their addictions, like so many partial hospital programs, but are given other tools, like self esteem. I think a book club component could be extremely beneficial in this context – as in CLTL, patients could be given a weekly reading assignment, and then have to come in the following week and discuss the text. Patients would get a feeling of accomplishment through starting and completing a task (reading the book or story) and a completely different feeling of accomplishment from participating in a meaningful discussion. Hopefully these discussions would relate to the addict’s experiences as an addict, and give them tools they may not receive in a short term inpatient setting. It seems like this could be a perfect marriage between a long-term in patient hospitalization (which can be financially devastating or even impossible to afford at all) and a series of short term detoxes (which can physically orient a person again but only barely skims the surface of the emotional problems the patient is experiencing). Important Announcement From Middlesex Superior Court! Judge Kathe Tuttman, Acting Chief Probation Offcer Maureen McEachern, Professor Sandra Albertson-Shea and the Middlesex Superior Court Probation Department are starting a female Changing Lives Through Literature Program this Spring. At least two programs per year will run. Each session will consist of twelve weeks with classes being held biweekly. Middlesex Community College is the host for the groups. Transportation will be made available through the generous donation os the Middlesex County Sheriff’s Office. There will be a graduation ceremony held at the Woburn location of the superior Court. Our hope is to start a male group in the near future. If you would like additional information, [leas contact Associate Probation Officer Sylvia Gomes at 781-939-2794 Assistant Chief Probation Officer Stephen Mulloy 781-939-2723. As my 7th grade class filed up the back stairway to the attic hiding place, an anxious quiet replaced excitement. An in-house field trip, but to where? and why with coats and mittens and double socks? Here, finally, was their replication of Anne Frank’s two years of hiding from the Nazis. Although only one 40-minute’s time in the cold storage attic of the old carriage house converted into their Middle School, the experience sobered up the fourteen students who had studied the two-act play version of Anne’s diary. Prior to reading Anne’s Diary, the class had read Jeanne Wakasuki’s Farewell to Manzanar, about government remanding of Japanese-Americans to internment camps in World War II. That military imprisonment of over 110,000 Japanese, German and Italian nationals in 10 camps and dozens of holding centers in Western states remains a regrettable chapter in American dealings with supposed enemies of the state. 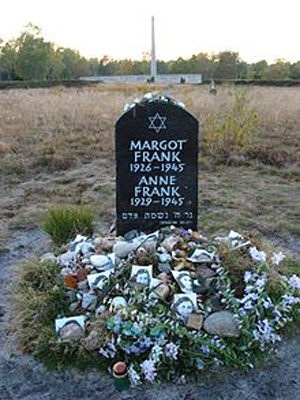 As the 14 students began to realize what had become of the two young girls who are the center of Anne’s diary and the Jeanne’s memoir, they focused on the meaning of resistance. The usual 7th grade taunts and bravados have subsequently been tempered, replaced by something like gravitas. They are as lively as ever. However, their energy lies more towards cooperation in lunch recess, hallway interaction, and athletics. A noticeable reduction in detention notices is one indication of the calming influence of their understanding of Anne’s and Jeanne’s suffering. Do CLTL students find inner strength through the cathartic readings they absorb in discussion and reflection? Is their close encounter with and resistance to evil effected by their participation in characters through reading and reflection? If what has begun to happen to a group of 7th graders is in any way an indication, then it would seem so. David Sarles has taught Upper and Middle School English at Portledge for 16 years. Previously, he taught in several other private schools in Connecticut and New York. He also taught English at what is now the Engineering School at Fairfield University and was a Teaching Assistant at Stony Brook. He can be reached for comment here.